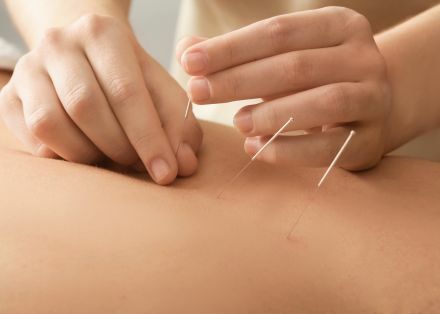 Dry needling is a technique physical therapists use (where allowed by state law) for the treatment of pain and movement impairments. The technique uses a “dry” needle, one without medication or injection, inserted through the skin into areas of the muscle. Cummings MT, White AR. Needling therapies in the management of myofascial trigger point pain: a systematic review. Arch Phys Med Rehabil. 2001;82(7):986-992. Free Article. Kalichman L, Vulfsons S. Dry needling in the management musculoskeletal pain. J Am Board Fam Med. 2010;23(5):640-646. Free Article.